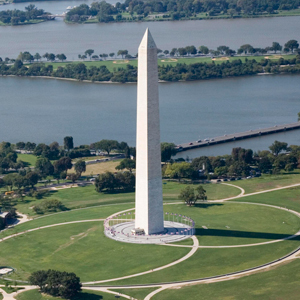 Washington, DC, the U.S. capital, is a compact city on the Potomac River, bordering the states of Maryland and Virginia. It’s defined by imposing neoclassical monuments and buildings – including the iconic ones that house the federal government’s three branches: the Capitol, White House, and Supreme Court – but also its museums and performing-arts venues such as the Kennedy Center. Washington, D.C., is the capital city of the United States, located between Virginia and Maryland on the north bank of the Potomac River. The city is home to all three branches of the federal government, as well as the White House, the Supreme Court and the Capitol Building. 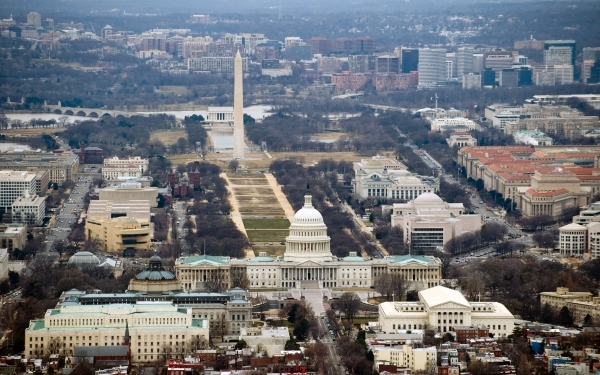 More than 500,000 people live in Washington, D.C. 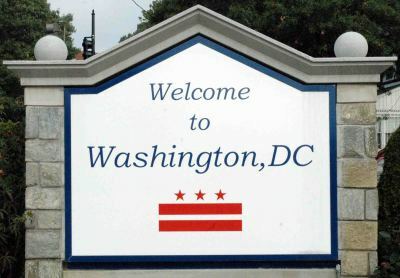 The city of Washington was named for George Washington (who picked the location) while the District of Columbia was named for explorer Christopher Columbus. On July 16, 1790, a compromise between Thomas Jefferson, Alexander Hamilton and James Madison—known as the Residence Act—was passed, declaring George Washington’s selection of a site on the Potomac River as the nation’s new permanent capital. As part of the agreement, the federal government assumed the states’ debts. George Washington oversaw construction of the White House but never lived in it. John and Abigail Adams became the first occupants of the presidential mansion on November 1, 1800, although only for the last four months of his presidency. 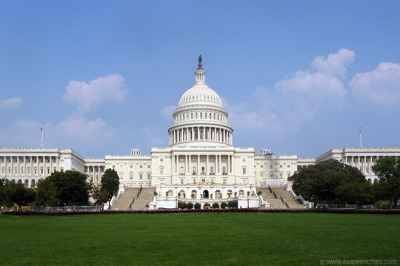 While still under construction, the United States Capitol held its first session of Congress on November 17, 1800. On March 4, 1801, Thomas Jefferson became the first president to be inaugurated in Washington within the Senate chamber of the Capitol. After capturing the nation’s capital during the War of 1812, British troops set fire to the White House, U.S. Capitol, several federal buildings and private residences on August 24, 1814. First Lady Dolley Madison, who had refused to leave the White House until only a few hours before the British arrived, secured the full-length portrait of George Washington and a copy of the Declaration of Independence on her way out. It took 83 years to complete construction on Washington National Cathedral. Although originally conceived of in 1791 by Major Pierre L’Enfant, who had been commissioned by George Washington to design a plan for the nation’s capital, the cathedral’s creation did not commence until September 29, 1907, when a stone from a field in Bethlehem was set into a larger slab of American granite and laid in ceremony as the foundation stone. In 1990, the National Cathedral was finally completed. 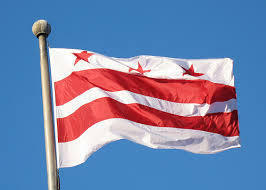 Citizens of the capital of the United States, who are deprived of voting representation in the national legislature, have been seeking statehood for years. On September 9, 1983, a Constitution and petition for statehood for New Columbia—as the new state would be called—was presented to Congress. The National Air and Space Museum is one of the most popular museums in the world, attracting, on average, more than nine million visitors each year.